Japan has many interesting cultural entertainment. Last weekend I went to a Japanese entertainment drama show called Taishu Engeki. The actors and actresses mainly wore Kimonos, and they danced along Japanese enka music and also performed a drama in between that was based on historical people. It was my first time to see such a show, and it was amazing! The picture is of the stage curtain. It illustrates symbolic items of south Osaka city. If you have a chance to come to Japan, please take some time to enjoy various Japanese culture! If you want to buy the Japanese used cars. Please offer from CarPricenet.com!! 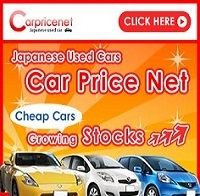 Get Free Car by CarPricenet!! A long weekend is approaching in Japan. This long weekend is called "Golden Week". The Golden Week is a weekend having several holidays in a row, and at times builds up to a holiday of a whole week including the Saturdays and Sundays. As like there are a lot of holidays overseas, Japan also has various holidays. As the days approach May, the sun sets later day by day and daytime grows longer. In winter, it was dark by 5 o'clock in the evening, but now it is still bright. 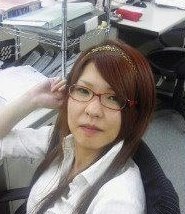 Japan enters into early summer by the time we enjoy the Golden Week. I am thinking of where to go during the Golden Week this year. Do you know of a good place to visit? I want to go somewhere with good scenery. 8th April was our anniversary of the founding of our company. Since establishment, five years has passed. A lot of staff joined our company in recent months, and the company is now growing even better. On the day of the anniversary of the founding, we ate sushi for lunch. Japanese people often eat sushi on memorial days, as a kind of celebration.